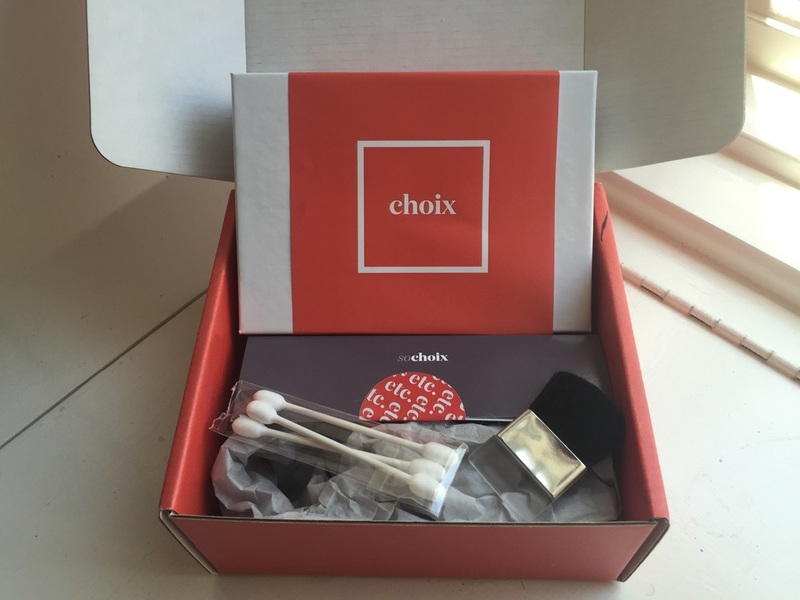 Choix is a subscription box that allows you to pick 5 high end makeup samples every month. It costs $20 a month, but I was fortunate enough to get this on Black Friday when it was $120 for an entire year, so $10 a month. I would be on the lookout for sales like this because they've been having them more and more often. So every month you get a box inside a box, as well as a lot of stuffing (which seems unnecessary but I've never had anything come broken! Except for one lip gloss but we'll overlook that.) and some extras that help you use your samples. Personally I wouldn't mind seeing the "etc." part of this subscription go. When you have to use their special spatula to get the product out of a special tube, I get it, but now that I have about a million of these unused blush brushes, I'm beginning to think it might be a waste. I think I may ask them to not include these in my boxes anymore! "These are approximate sizes only as some foundations (lipglosses, lipsticks etc) weigh heavier than other foundations, some lipsticks weight heavier than other lipsticks etc., and so we go by weight first but then also by aesthetic. So if a lighter foundation doesn't fill the container, we will add more so that it doesnt look too empty." So I am using these sizes to calculate approximate retail value. 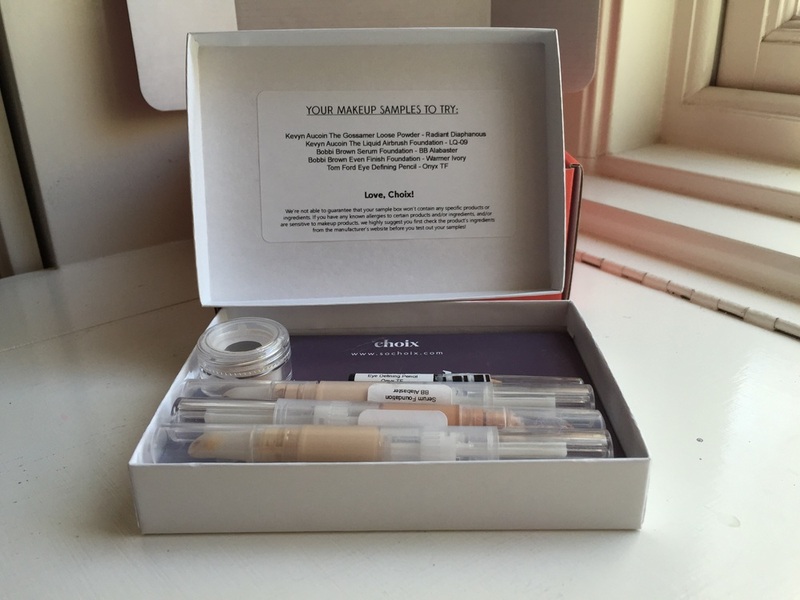 I love Choix because I can try on as many foundation samples I like without getting weird looks. This sample's lid does not fit, so it is held together with washi tape. 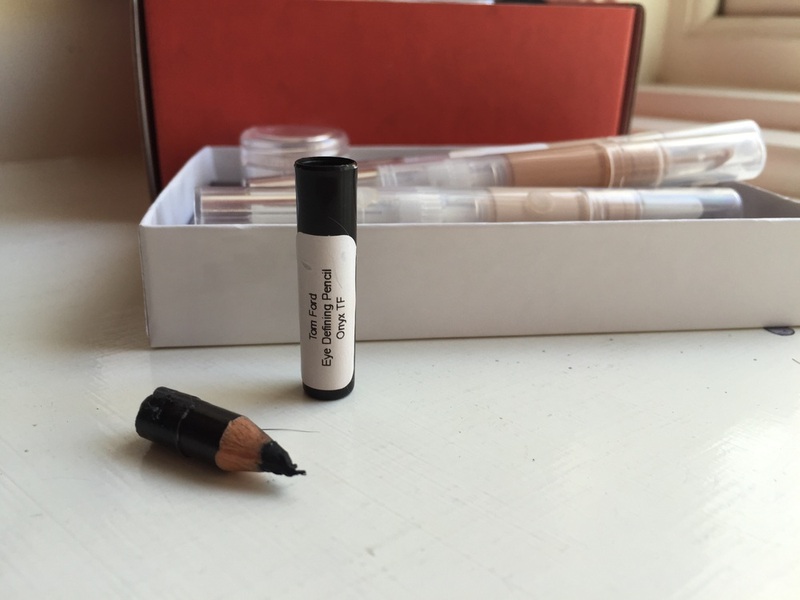 Each pencil sample is put into a tube for easy handling. 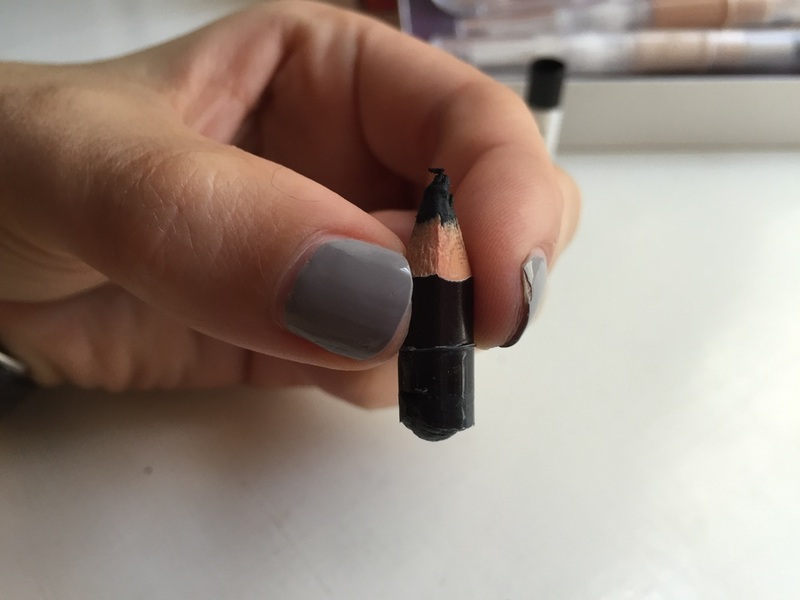 Without the tube, you can see the real height of the pencil. The sifter for loose powders always comes taped down, which I appreciate.